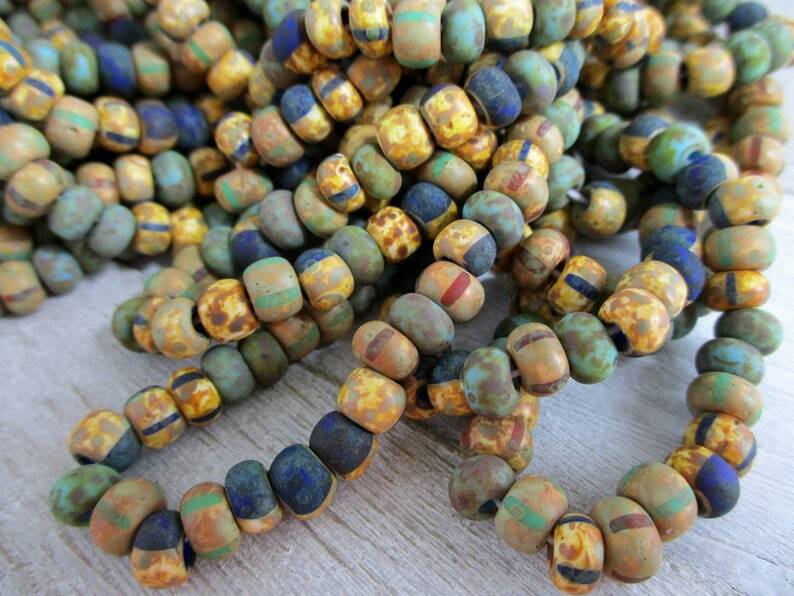 These 2/0 (about 6mm) Czech glass beads are matte (not shiny) with beiges, brown, green and blue and a picasso finish. There are about 115 beads on each strand and you can choose half strand of 57 beads. Made in Czech Republic, imported and shipping to you from the US. Shipping for US orders that contain ALL ready-to-ship (1 to 3 day) items have a combined flat rate! Place a separate order for "made to order" (1 to 2 week production time) items if you want your ready to ship items to be mailed quickly. NOTE: Photos are taken by me in natural light on a neutral gray, brown or white background with a digital camera in order to provide accurate colors. However, colors can look very different on individual computer monitors. Love them,very nice mix colors and size..